This year, Maureen Hynes–along with Lorna Crozier–was shortlisted for not one, but two of our book awards: the Pat Lowther Memorial Award, and the Raymond Souster Award. 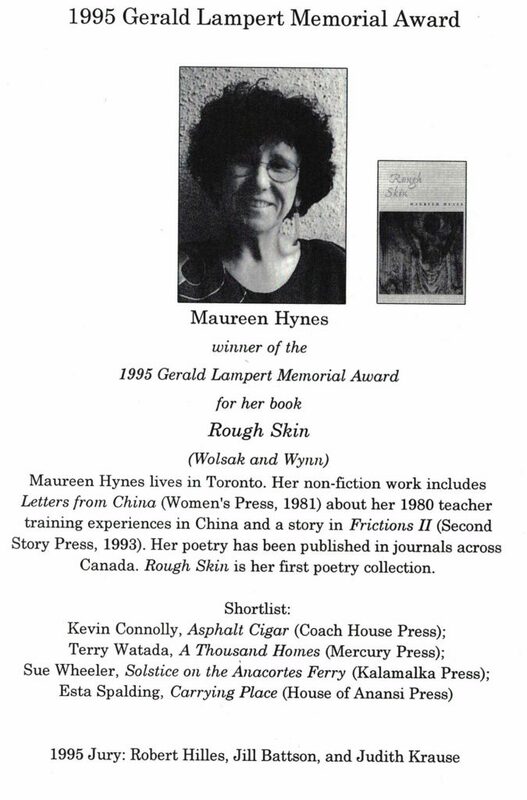 So we thought it was absolutely fantastic when we discovered that 20 years ago, Maureen Hynes’ first book, Rough Skin, won the Gerald Lampert Memorial Award for a debut book of poetry! 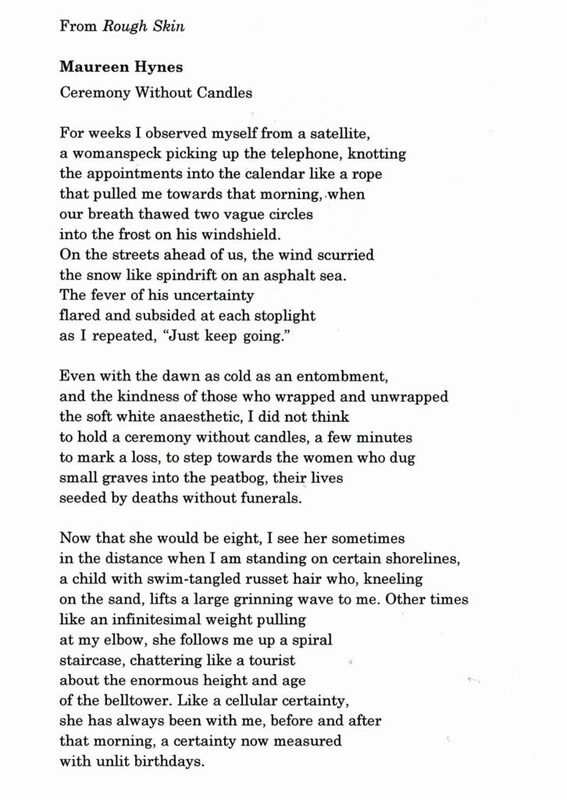 We are so grateful to all our members, but there’s something special about seeing members who join and stay with us throughout their development and careers as a poet. Stay tuned next week for another great LCP50 throwback Thursday with life member M. Travis Lane!